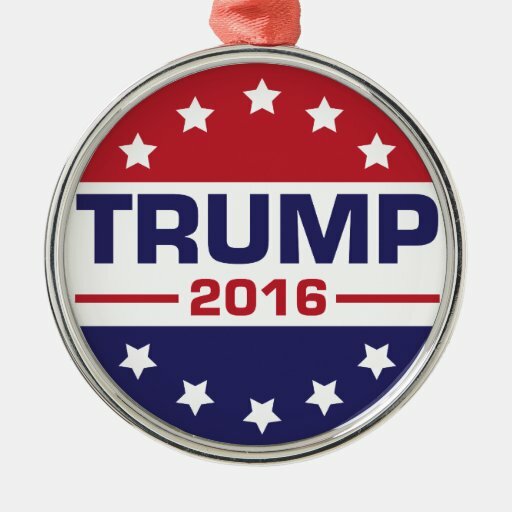 Donald Trump Christmas ornaments are something unique and historical for your 2016 Christmas tree. The 2016 election cycle was long, drawn out, brutal, and bizarre. There were a lot of twists, turns and surprises. It’s a part of history now and as we all know the victor was Donald Trump. 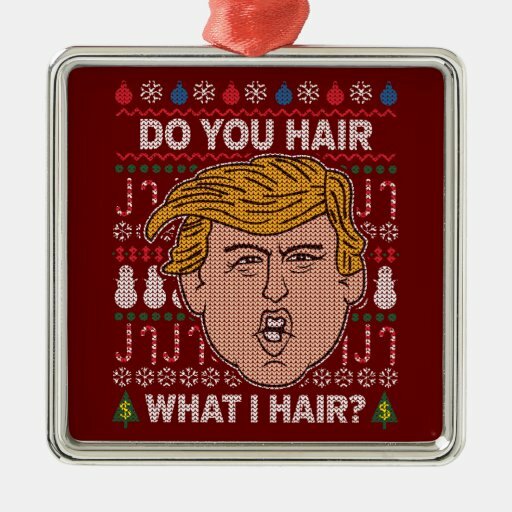 Grab a little piece of history and get some 2016 election ornaments for your tree. Do you like to collect election memorabilia? These days there’s so much of it available because of the print-on-demand companies such as Zazzle. If you don’t find some you like you can design your own. 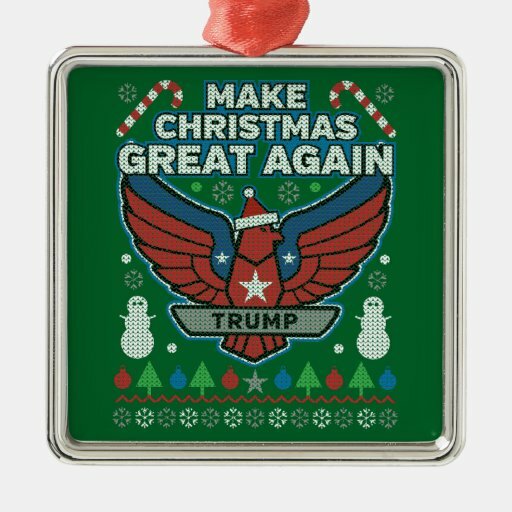 Together we can make Christmas great again! You might also be interested in Washington DC Christmas ornaments. This collectible red cap ornament is made of brass and finished in 24K gold. Trump’s iconic red cap will go well with the other election memorabilia ornaments. He wore the red “Make America Great Again” cap all through the campaign and it became his signature piece. 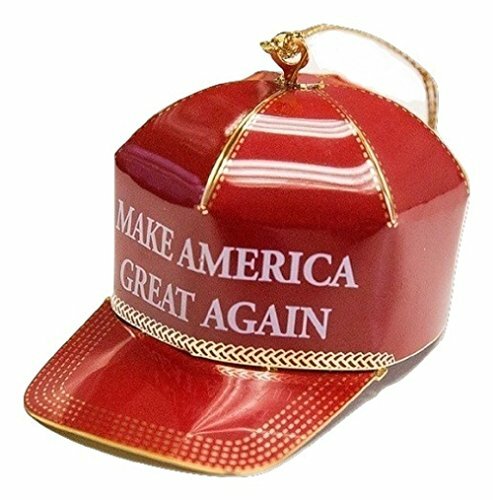 Hang the red cap on your tree and make Christmas great again! Make sure you go to Amazon and read the comments on this red cap 2016 Christmas Ornament. 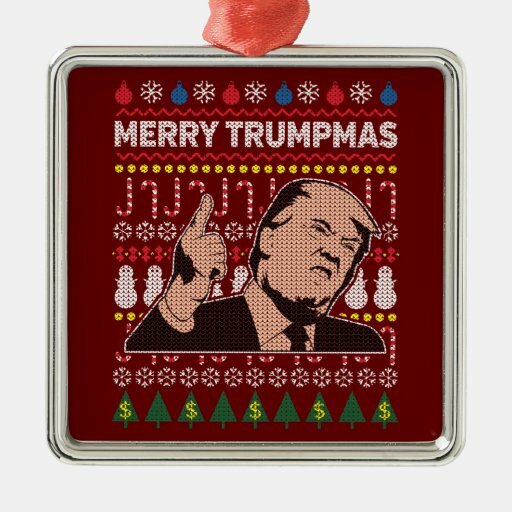 These ornaments featuring the President Elect are done in an ugly Christmas sweater style. They have funny sayings about The Donald on them. I can tell you this, they’ll look fantastic on your Christmas tree! These Christmas ornaments commemorate the fact that he won the contentious 2016 election, defeating Democrat Hillary Clinton for the highest office in the land. He will be the new leader of the free world. He has never been a politician and has no real political record so we don’t really know what he will do. Maybe by this time next year we’ll have a better idea of what kind of president he will be. 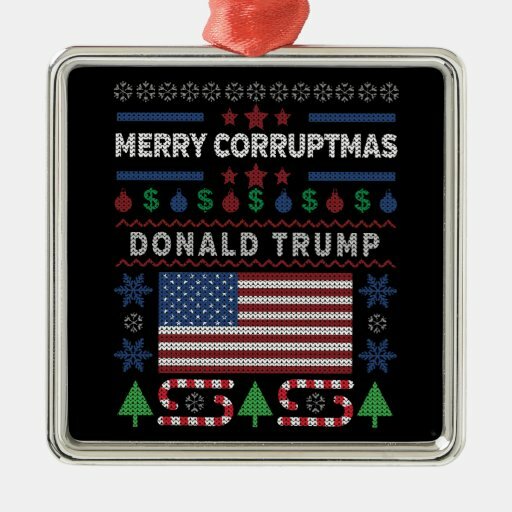 Believe me, 2016 election Christmas ornaments will make nice little gifts for your friends and relatives that were or are supporters of the President Elect. I can tell you this. These are beautiful POTUS Christmas ornaments from the 2016 campaign. The Republican campaign slogan, “Make America Great Again“, and”Trump/Pence.” People usually forget who the vice president was but with the Trump/Pence ornament you won’t forget. Hillary Clinton used this phrase to describe some of Trump’s supporters and it became a catch phrase of the campaign. A Basket of Deplorables became almost a badge of honor for some who support the future 45th President. There doesn’t seem to be any in between with Hillary Clinton. You either love her or hate her. 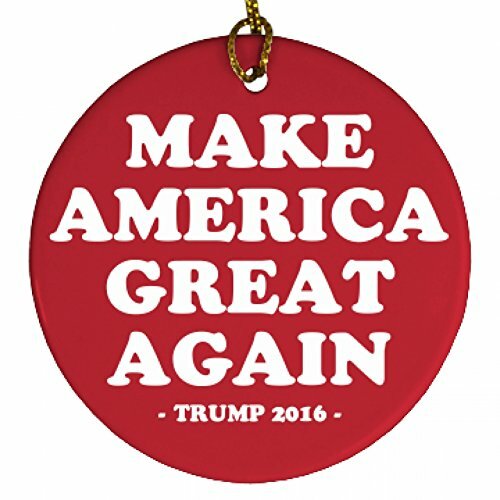 The Donald did win the election however, so with my apologies to the Hillary supporters here’s a collection of anti Hillary ornaments. Seems that her time for being in public office has passed. American flag ornaments will look sharp on your election themed tree. They’ll mix well with the election memorabilia style ornaments. Choose a vintage Americana style or a more modern, crisp look. Garlands of red will tie it all together and give the tree a completed look. Garland adds a feeling of lushness. Choose from tinsel, beads, or Christmas balls.